Over 57M Americans belong to a health and fitness club! But let’s be real, finding the willpower and motivation to actually go the gym can be challenging. That is why Aaptiv was created. Users pay $99 a year to get complete access to its app that has over 2,500 audio-guided workouts and structured programs ranging from meditation to indoor cycling. The audio workouts are taught by 20 certified trainers and each week 40 new classes are added, so you can experiment with as many different classes as you’d like on your own terms, without ever having to make that dreaded commute to the gym. 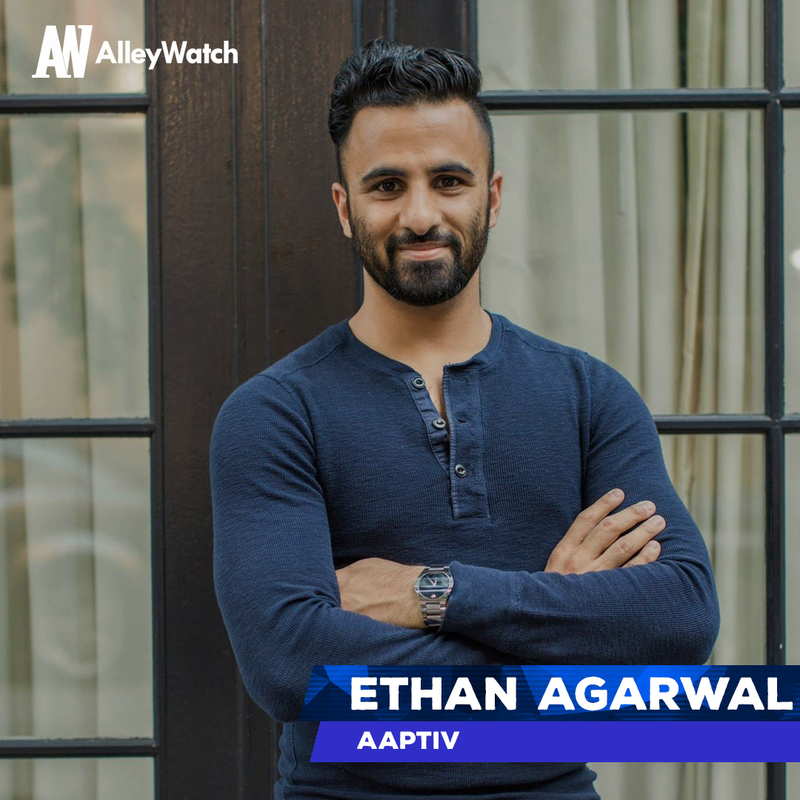 AlleyWatch last spoke with CEO and founder Ethan Agarwal in December, but since then the company has been on a tear. Today, Agarwal shares with us some factors that contribute to the company’s impressive rapid growth, promising future, and its latest funding round, which brings the total funding amount raised to$52.1M. We raised $22M in our Series C with funding from Millennium Technology Value Partners, and Insight Venture Partners. Strategic investors include the Amazon Alexa Fund, Disney, Warner Music Group, and NWS Holdings. 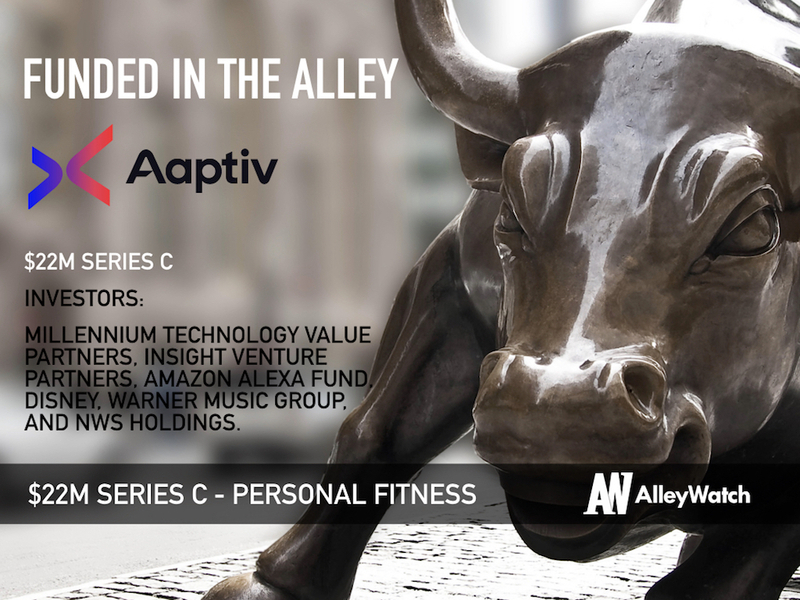 This round is our largest round to date and brings Aaptiv’s total funding to over $52M. 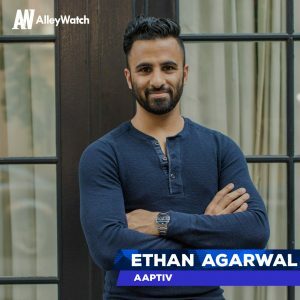 Tell us about Aaptiv’s service. Health and wellness is becoming a bigger priority in many people’s lives and Aaptiv makes working out convenient and affordable. For just $99 a year, Aaptiv members have unlimited, on-demand access to over 2,500 audio-guided workouts and structured programs across every type of exercise and a wide variety of activities, including running, strength-training, yoga, indoor cycling, meditation, and more. Not only is every workout or program created by one of Aaptiv’s 20 certified trainers, but we add 40 new classes each week, so content is always fresh. How is Aaptiv different than other fitness programs? We focus exclusively on audio class because it doesn’t make sense to be staring at a phone while working out. We combine the guiding voice of an expert Aaptiv trainer with motivating music by top artists in every genre (so no sleepy stock music). This audio-based format eliminates distractions, allowing members to focus on their fitness goals. And the best part for me, a runner who enjoys running the streets of NYC, is that it allows me to enjoy great music and a personal trainer’s guidance in my ear – without sacrificing the great setting. What inspired you to start Aaptiv? Before I started Aaptiv I was a consultant and traveling at least four days a week. Anyone who has spent time on the road knows that it’s tough to stay healthy and I ended up gaining quite a bit of weight. When I finally got my act together and committed myself to lose the weight, there weren’t a lot of options that would work for my lifestyle or preferences. I knew I needed the guidance and motivation of a trainer but traveling so much made that almost impossible, not to mention expensive. And running has always been my favorite work out, but at the time the only digital options involved a screen. I realized I wasn’t the only person out there who was dealing with the same frustrations, so I built a product that could help everyone. Aaptiv really does have something for everyone whether you’re an expecting mother, triathlete, or looking to run your first mile. Because of this, our target is anyone looking for a partner to help them be healthier in body and mind. And in the U.S. alone – that’s a lot of people. Over 57M Americans belong to a health & fitness club and the fitness industry generates more than $40B a year. We are a content business and our number one revenue source is member subscriptions. Since the beginning, we have been very intentional in excelling in two things – the first being content development and the second being the software solution to deliver the content. Our entire team has been working very hard on both of these things and we’ve done everything we can to not get distracted. This commitment has worked because we’ve grown from 5,000 paying members to nearly 200,000 in two years. How has the business changed since we spoke back in December? We’ve gotten a lot bigger, both in our product offering but also our internal team. In our NYC headquarters, we now have over 90 employees across a wide range of specialties including engineering, marketing, audio production, among others. It’s a very exciting time at Aaptiv, and we recently packed up our audio booths and moved downtown to One World Trade. Please tell us about the decision to apply to the Disney Accelerator and how do you plan on participating with such a large team in NYC? The Disney Accelerator Program offers immense opportunity and gives our entire team access to leverage amazing resources that will become available to Aaptiv. This includes Disney-owned properties—from their resorts to their media networks – and we hope to forge some great partnerships that help elevate Aaptiv to the next level. It’s the best…but seriously. I actually love the fundraising process. I get to speak with the smartest folks in the world about the business we’re building and the problem we’re solving. What more can I ask for? Raising capital is a full-time job in itself so it’s easy to become consumed. I had to consciously make sure I wasn’t taking my eye off the real prize, which is running the day-to-day business with my team. This new capital allows us to make the investments we need to further our technology innovation, product growth, and customer acquisition. A lot of this involves more people. Within the next six months – or by the end of the year – we’ll have over 100 employees here in NYC. Focus on the cash flow. 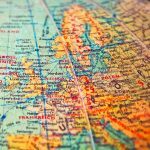 A lot of startups get distracted and forget how important this is – including us about a year ago. We were able to reset and get back on track but by focusing on the cash flow, companies are able to control their own destiny, while also becoming a lot more desirable to potential investors.